Want to take better fly fishing photos? Just the other day one our Facebook followers asked if I would post some tips for taking better fishing photos. I’ve written a good bit on the subject, but the articles are scattered across the site. I thought this would be a great opportunity to put together one source for some of my best photography tips and tricks. So here it is, 12 tips that will make your fishing photos rock! The first step in getting a great shot of a fish is knowing how to hold it properly. I am constantly amazed how many anglers don’t know how to hold a fish for a photo, but to be fair, Kent and I have had a lot of practice and we have it down to a science. Here’s an article from each of us on the subject. What if you’re fishing alone when you catch the fish of a lifetime? No problem. Here’s an article that will give you plenty of options for getting a great shot. Great photos start the basics. It doesn’t get more basic, or more important, than a stable grip on the camera. Here’s all you need to know. Digital photography offers photographers some pretty amazing options for producing images with a unique look and feel. To get the most out of you DSLR you need to take advantage of the RAW file format. Here’s the scoop. The look of your images has everything to do with how you set up your camera. Choosing the right ISO is a step to many people skip or just don’t understand. Get it right. Its OK to shoot in Auto! Too many people think you can’t take great photos with your camera set on automatic. You can and I do it all the time. There are just a few things you need to know. Why make it harder than it needs to be. Get the most out of auto. Every photographer needs to know how to adapt to changing light. Here are some tricks to help you get better photos when the fishing is at its best. Fill flash yields a dramatic look. It’s technical, but with the right info you can get great results. Here’s what you need to know. Great photographers are masters of depth of field. Here’s an article that will help you get it sharp where you want it. Freezing the action of fly fishing makes for dramatic photos. It’s all about light and shutter speed. Here’s what you need to know to stop time. Here’s where we get right down to it. That illusive something that makes a truly great photo. Master these three things and you will be more than a pro, you’ll be an artist. Get out there and put these tips to work. It will be time for the annual G&G photo contest before you know it and I’ll be expecting some great work from you guys this year. Get snapping! 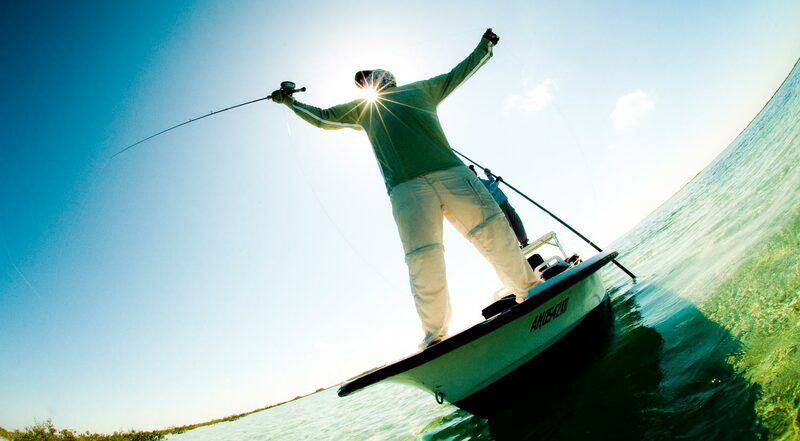 This entry was posted in Fly Fishing Photography, The Hot Ticket and tagged fishing, Fly Fishing, fly fishing lessons, Fly Fishing Photography, Gink and Gasoline, how to fly fish, how to take better photos, Kent Klewein, learn to fly fish, Louis Cahill, photography by Louis Cahill. Bookmark the permalink. hold their flyrod in their teeth. balance their flyrod on their shoulder. How many fish have died as a result of a cell phone? Far too many, maybe not as the photo was taken but later due to exhaustion. Look at it this way. You just ran a 26 mile marathon and at the finish line someone wants to take your picture. They put your head in a bucket of water for thirty seconds, tell you to hold on and then take your photo. Just release the fish, you know you caught it. I taught photography for many years and have maybe 5 pictures of trout. Trout are too valuable a resource to injure, just enjoy the catch and release as quickly as possible. First off all, this is such a great Blog, Thank you Louis. @ R_Rob , thats a very good ! If you want to take a picture, think about the health effects of the fish. How to do it: With the fish in the water in a net or live-well (scientific holding pen shown here), approach the fish from behind and grab at its tail. Observe if the fish attempts to escape. What it means: If a fish doesn’t try to swim away it fails this test, has at least some level of impairment and could be at risk of mortality – other tests will provide further insights.